A guest blog by John Griffiths, talking about his exciting new project to crowdfund and launch a book looking at the early years of account planning. Judie Lannon gives me a cool look and says there was no way that the research department she set up in 1968 in J Walter Thompson was ever going to be called the Motivational Research department. Roddy Glenn tells me about a breakthrough at 3am in the agency when he first understood how brands talk a different dialect in packaging than they do in advertising years before semiotics was known in market research. He goes on to talk about what it was like working in a shadow agency running groups for the Labour party in 3 successive elections working directly to first Robin Cook then Peter Mandelson until the landslide of 1997. And then there are the stories of research innovation as TV commercials are put onto video as key frames set to a voice over and first in depth interviews but then in groups, researchers who later came to be called planners travelled all over the country at least one in a Ferrari! to show them to people who had never been researched before. Also the story of the research debrief where the presenter explained that most of the groups had got it wrong and to pay attention only to the views of the minority! That was how Benson & Hedges Gold was born. 98% Pure Potato is a book about first years of account planning and what the first planners did drawing on first hand interviews with those who did the job. But since research is so bound up with the account planning function. And since the rise of planning singlehandedly moved qualitative research from the academic margins to the commercial mainstream of market research the book also provides an account of how research evolved over this key period. And how qualitative research was initially adopted less as a parallel discipline alongside quantitative research but a diagnostic refinement on top of quant research. At its most extreme this mean that an agency like Boase Massimi Pollitt would research every single ad they made and expected their clients to pay for the research. T hey used groups to research the work and significantly called it creative pretesting. They were resolutely opposed to quantitative pretesting because it was a blunt instrument which destroyed advertising and didn’t allow you to evolve creative ideas. BMP used to run 3000 groups a year – its planners spending several evenings a week talking to customers about products and advertising ideas. They gave marketing people unpredecented access to real people – and that gave marketers the confidence to approve advertising which broke the mould. BMP used research as a startup to power its way into the top 20 within a decade. Over at J Walter Thompson for years no planner would have compromised the independence of the research process by running groups themselves. But they used Judie Lannon’s qualitative unit to develop advertising ideas but critically they also used research to measure the long term brand building effects of advertising to lock J Walter Thompson clients in. J Walter used research to maintain its position as the university of advertising using the brilliant thinking of Stephen King. CDP on the other hand used research to establish the key drivers for a market place but were determinedly oppose to all creative development research because ordinary people simply couldn’t make sense of category busting advertising. Even though their clients forced them to research the ideas from time to time and they usually researched badly when they did. 98% Pure Potato is intended to be an oral history of the time. What it reminds us is how much research was being done. How literate these advertising people were with how research could and should be used. And how research was very much more than asking people what they thought and taking what they said at face value. The brilliance of the account planning idea was that it recognised that every single piece of advertising worked differently and needed to be understood in how people decoded and made use of it. And they used research to develop their thinking and to prove campaign and brand effects. Laurence Bailey and Simon Patterson have embarked on a similar project to interview some of the major practitioners from the last 5 years. But we are still looking for supporters to pre-order 98% Pure Potato the story of account planning. Our supporters get our grateful thanks and their names printed in the back of the book. We expect the book to be published in the autumn of this year. The manuscript is already written we are just working on the final edit. 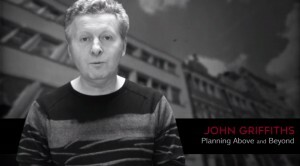 John Griffiths of Planning above and Beyond and Tracey Follows current chair of the Account Planning Group are the co-authors. We would be grateful for your support. There’s lots of extras in what Unbound call The shed including the podcasts of the interviews with the first planners.